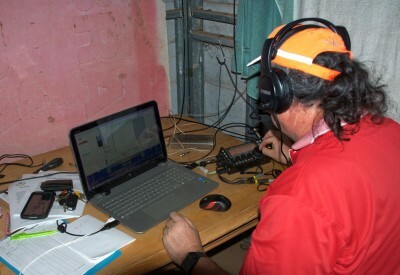 While not a part of the big VK5 multi/multi effort (see John Moyle Field day station VK5WIA – On the air and John Moyle Memorial Field day over for another year for some details) – we had a go! We operated from PF95tx near Morgan in SA. We have a “shack” (well 4 walls and a roof!) on a 5Ha bush block just out of town that offers a reasonably quiet HF environment and no neighbours close enough to bother when running the generator to charge the batteries! I did a 6hr from around 16:00 Saturday afternoon and ended with 84 Contacts across 80, 40, 20 and 15M – Yes, I did it tough using only the KX3. And no there is not a QRP section for the JMMFD! Yes, running QRP did put me at a disadvantage, but that is not the point! Reality is, that at any given moment, I can grab my QRP kit and be ready to go portable and set up with the minimum of fuss. after all, the aim of the contest is to encourage and provide familiarisation with portable and field operation and one would wonder why there is not a QRP portable section for this Contest. The other side of this is that given I was only running a QRP station I still had a reasonable number of contacts. When we woke up this morning, Ray (VK5RR) proceeded to have a go, with just under 5 hours worked and ending with 89 contacts across 80, 40, 20 and 15M – but he was using the 7100 and 100W! Anyway, we had a bit of fun – yeah, we were by no means a big gun and nowhere near a winning score – but it was good to be able to give it a go. Given we were only using quite modest Antenna’s and most of the contacts were made using one of the 3 dipoles, it was not too bad. Looking forward to hearing the rest of the results. 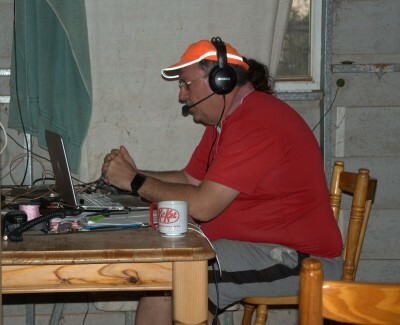 For the JMMFD 2015 I decided that I was going to enter as a single-operator in the 6 hour portable Phone HF. As an added challenge, I have decided to do it all with just the KX3 – so running only QRP power levels as well. Several month’s of portable operations in Parks and SOTA has convinced me that this set-up should be sound and quite capable. The difference here is that I have a bit of extra time to plan and set up some more than a single antenna – making it much easier to cover all available HF Bands by simply swapping cables on the KX3. You can get a bit of an idea of the setup from the short video. Anyway, off to double-check the setup and get ready for the contest – will provide an update later on.